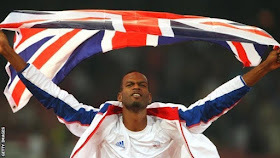 Retired British high jumper, Germaine Mason has died in a motorcycle crash in eastern Kingston in Jamaica. The Jamaican-born athlete reportedly lost control of the motorcycle he was traveling on and fell from it at about 4:20 am on Thursday April 20th. He was 34. Police reported that the crash took place on Sir Florizel Glasspole Boulevard but eyewitnesses said it happened in the vicinity of the Jamaica Gypsum Quarry on Norman Manley Highway. 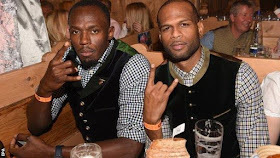 The 34-year-old was a friend of sprinter Usain Bolt, who also visited the scene soon after the crash on Thursday. 'Usain Bolt was part of the group that came by and he was very, very emotional, and still is,' said Senior Superintendent Calvin Allen. Mason who switched allegiance in 2006 to represent Great Britain won silver in the high jump at the 2008 Olympics in Beijing. British Olympic champions, Dame Jessica Ennis-Hill, Denise Lewis, Linford Christie and others have all taken to their social media pages to paid tribute to the former high jumper.